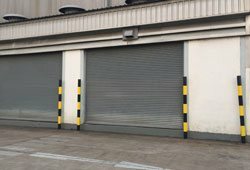 As another practical option for the access and security needs of your business, GarageDoorsStore has an array of various types of rolling steel doors. Rolling steel doors are superlative options for places where businesses need to maximize space for entry, and we carry up-coiling service doors that can fit in almost any size of standard opening. If you require a custom rolling steel door, we can create it in a variety of color options, slat profiles and curtain materials to meet any security and aesthetic standards. Apart from a standard selection of overhead garage doors, GarageDoorsStore offers a range of optional overhead garage door system add-ons, including devices that allow families and businesses to open doors automatically by merely pushing a button and motion detectors that are able to detect and respond to the approach of a vehicle or person. Additionally, backup battery systems allow residences and businesses to prepare for unexpected power outages by maintaining a source of power for garage area accessibility regardless of the circumstances in the surrounding area. Once GarageDoorsStore experts collaborate with you in designing the perfect garage door system to meet the needs of your specific situation, trained professional technicians are dispatched to the location in a special mobile service vehicle. These units are specifically designed to carry a comprehensive array of needed tools, allowing the on-site specialists to carry out the installation expediently and efficiently. We put our reputation on the line with each and every job with which our clients entrust us, and we respond to the needs of our clients in the Northfield area at any hour of the day or night. 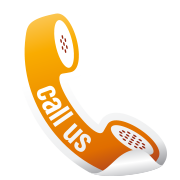 Consult with a GarageDoorsStore representative free of charge concerning your specific garage door installation needs.